Email me at sales@midfield.me and I will be able to send you further details together with photos of the homes for sale and views. All our holiday pitches are for 8 month use 1 March to 31 October. price guide from £82,000. Rent will be the same as a residential home £178.03/ £211.52p plus Council tax. SEE THE TOP RIGHT PHOTO FOR VIEWS!!!!!!!!!!!!!!!!!!!!!!!!!!! EXCEPTIONAL POSITION WITH THE BEST VIEWS AND LARGE DECK. 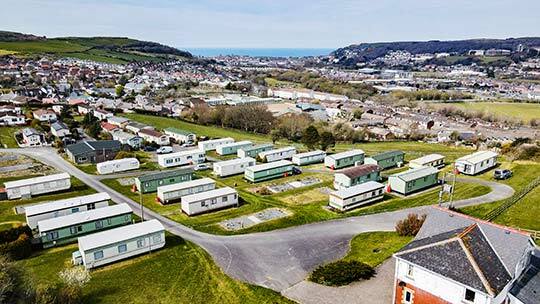 We will be happy to relocate your HOLIDAY home from another park, if it is under 10 years of age for £2,500, plus VAT + transport. We do not allow sub-letting, but family and friends are very welcome. 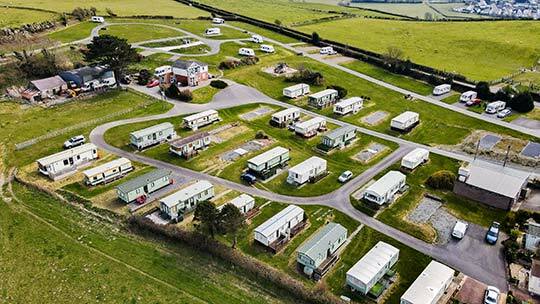 Our small family run site is situated on a hilltop overlooking Aberystwyth and the surrounding countryside, with uninterrupted views of Cardigan Bay, and, on a clear day, you can see the North Wales coast. The sunsets are to die for, so we have been told. Once you have a holiday home on Midfield, you will find that you may never want to leave. We have had one holiday home here for well over 40 years, and owned by the same family since it was new! Unlike other parks, we do not have an age limit on the homes once on our park, and we allow the sale on site as long as the home is well maintained, in a satisfactory condition and bills are paid up to date. Commission is payable to the Park owners on all Holiday Home sales at the rate of 10% plus VAT, and all monies must be exchanged through the office. WE WILL INCLUDE A 32" FLATSCREEN SMART TV - FREE !!!!! ALSO see residential park home manufacturer Stately Albion. which we will be happy to put on a pitch of your choice.